A full moon sets in the west over Davis Mountains State Park on a June morning. 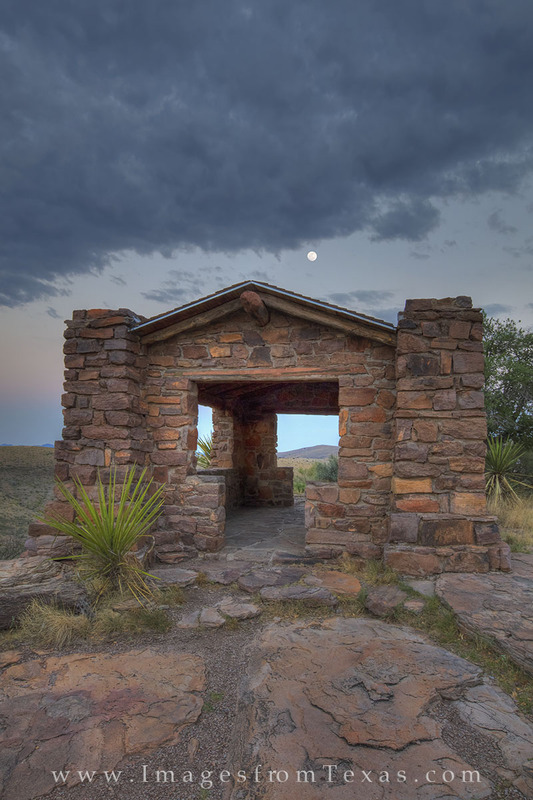 This old stone structure was built by the CCC in the 1930s and still serves as a respite from the mid-day summer heat, or in this case, a nice foreground for the beautiful surrounding Texas landscape. Photo © copyright by Rob Greebon.